The sword is one of the oldest and most well-known symbols in the world. Swords have been around for thousands of years, nearly as long as man. 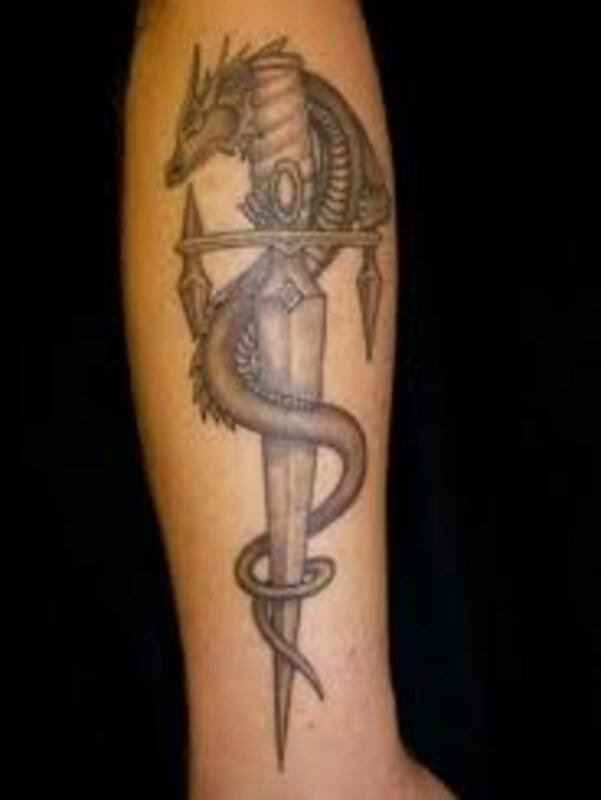 They have always been very popular as a tattoo, especially in Asian cultures where swords play a vital role in cultural history. It has been a longtime symbol of warriors, knights, ninjas, and samurai. 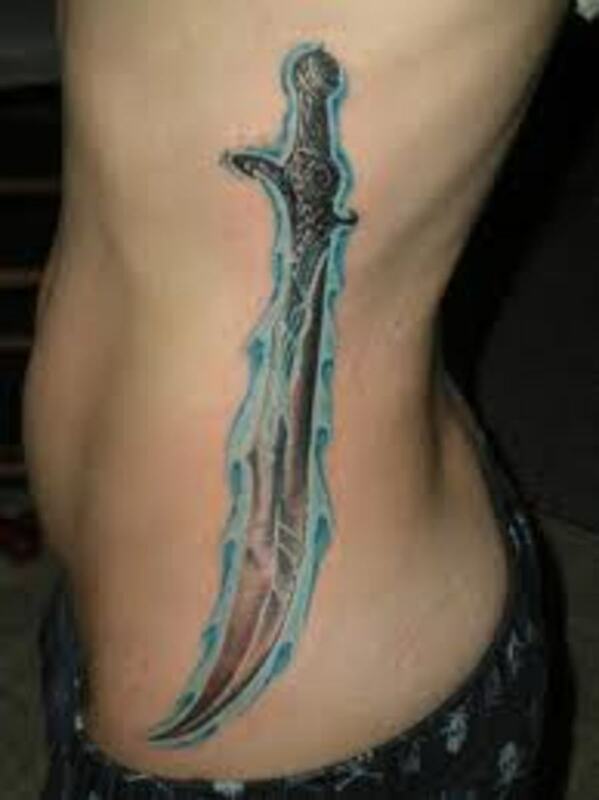 Swords come in a variety of different sizes, shapes, and colors, and so do these tattoos. The design possibilities are endless. 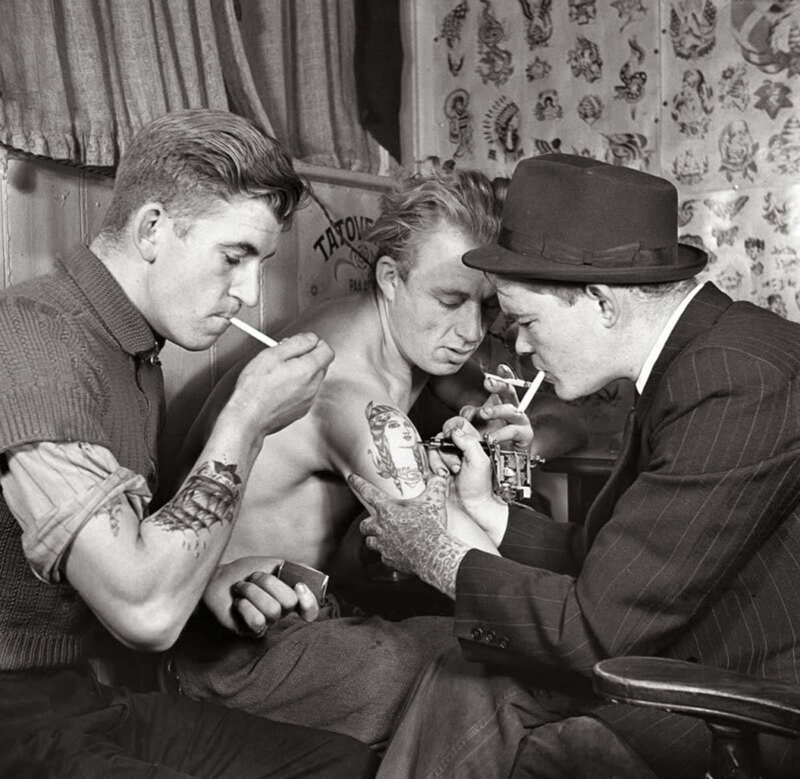 You and your tattoo artist should be able to create a design that is unique, a perfect fit for your personality. The sword is often accompanied by other elements like wings, hearts, and flames. 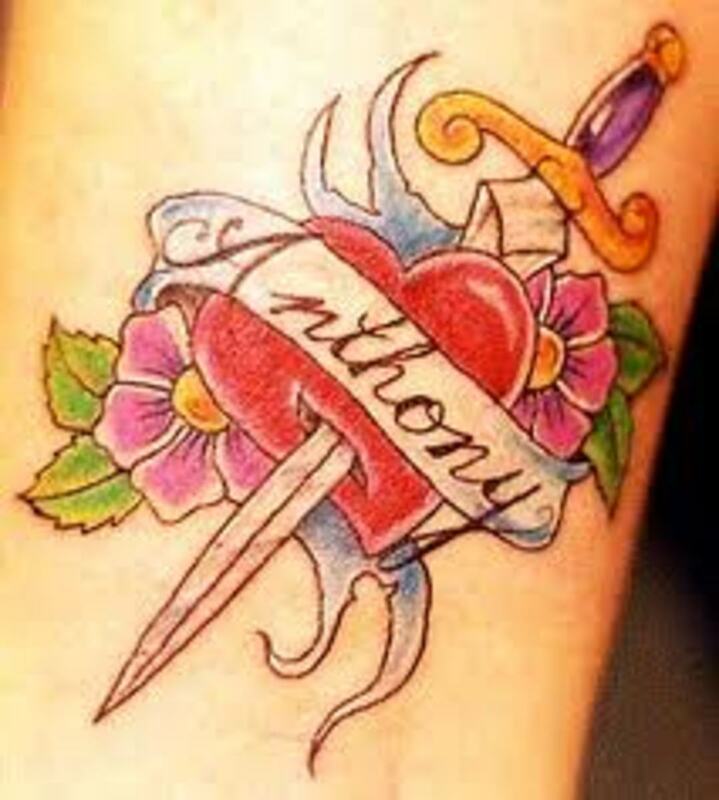 The sword-and-heart tattoo often portrays a sword piercing through the heart. This is usually a representation of a broken heart, lost love, or betrayal. 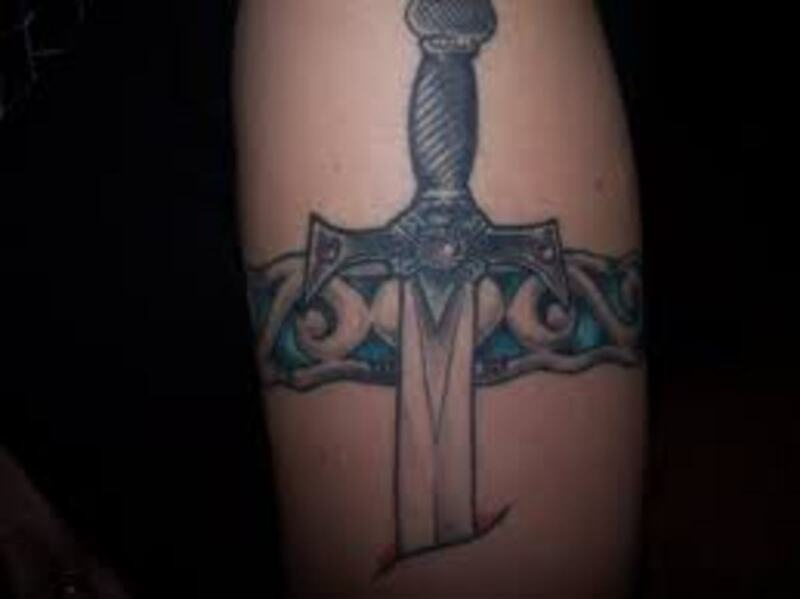 Or the sword might be inked in front of or beside the heart, representing protection or courage of the heart. 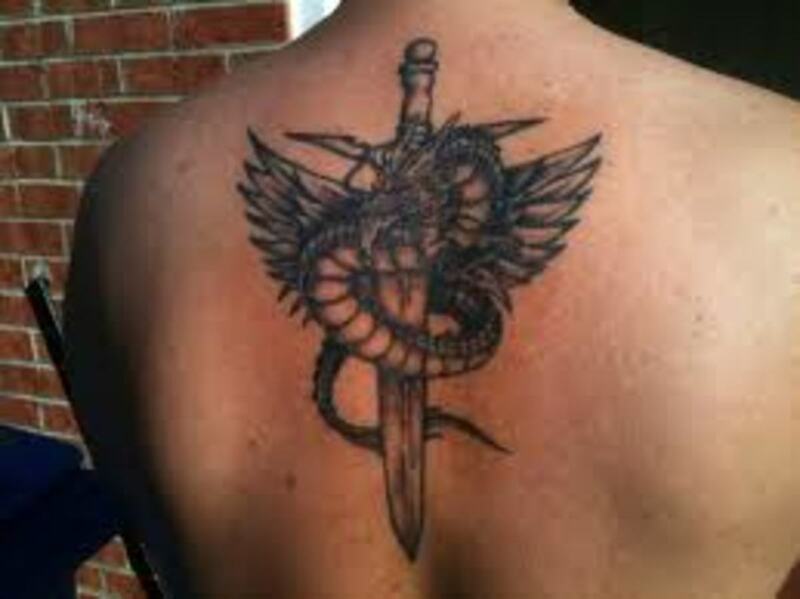 The sword-and-wing design is also very popular and can be used to symbolize the ability to rise above danger or protection from your guardian angel. 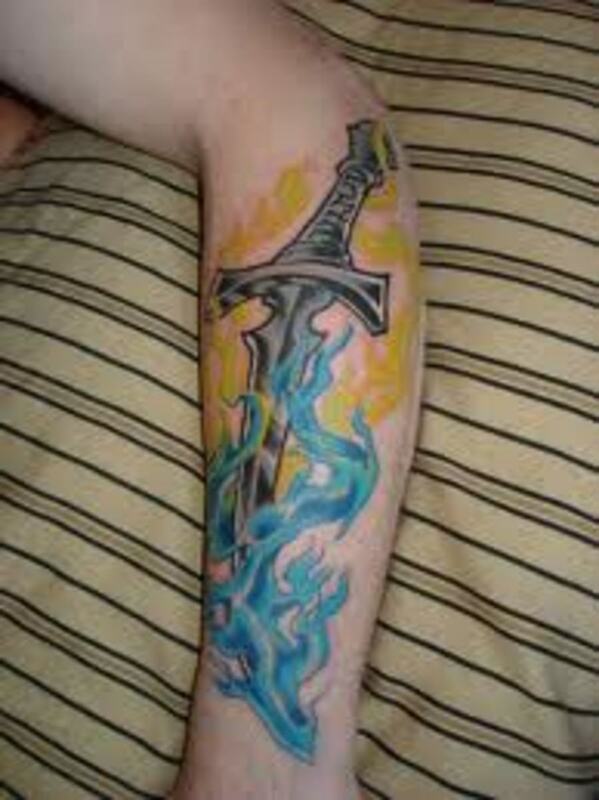 Flames on or surrounding the blade often represents Christianity and purity. 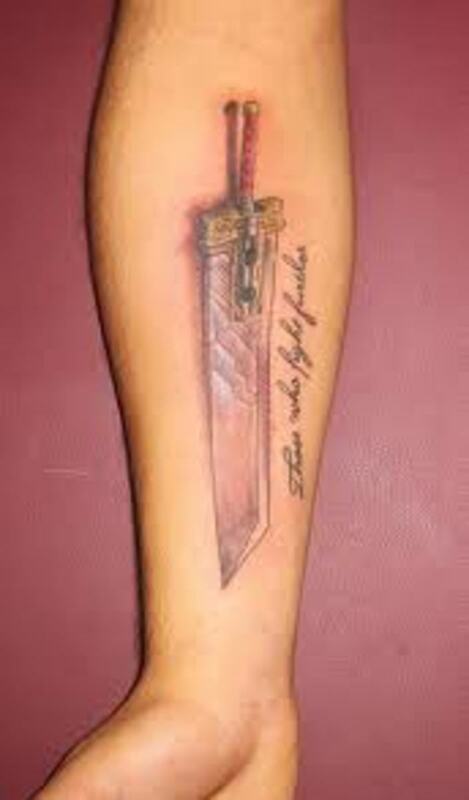 Remember, in the end, your sword tattoo symbolizes what you want it to. 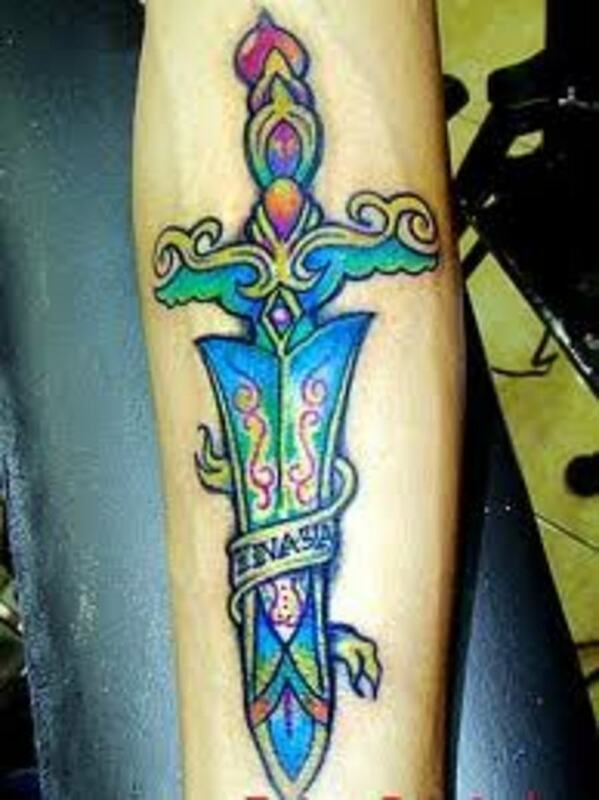 Meaning also depends on what you use to decorate your sword tattoo with, such as jewels, flowers, ribbons, or words. The sword is considered to be a military emblem. 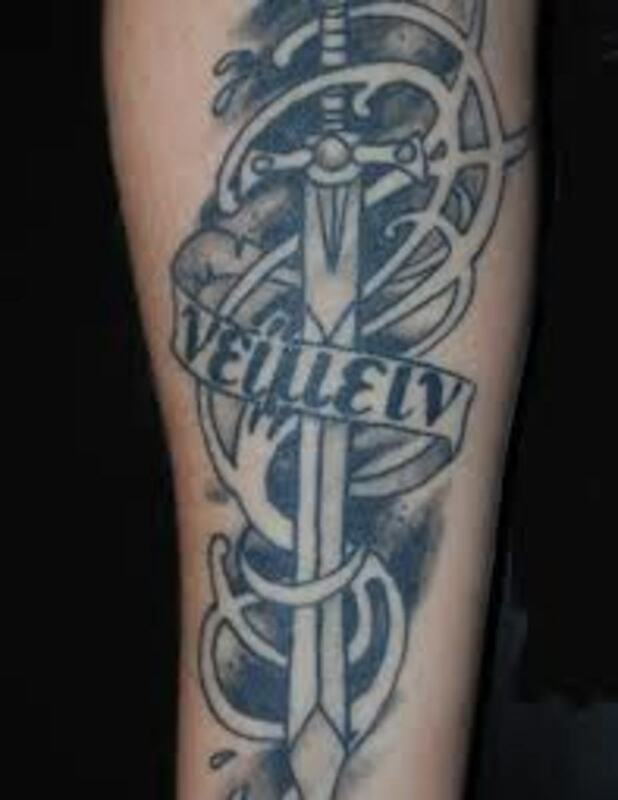 You commonly find sword tattoos that are portrayed to represent bravery and courage in battle among soldiers. It can also be associated with Christianity. 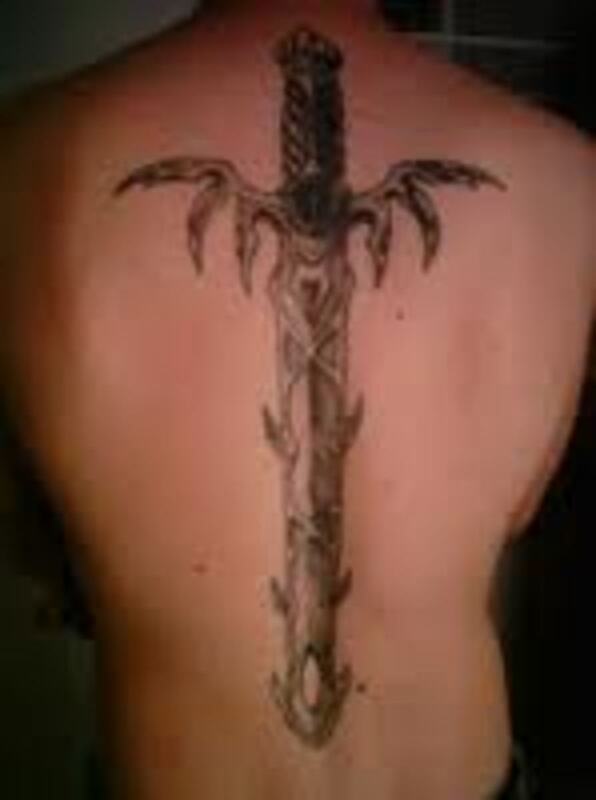 Some even consider the sword a symbol of Christ and twin swords are often inked as a crucifix. 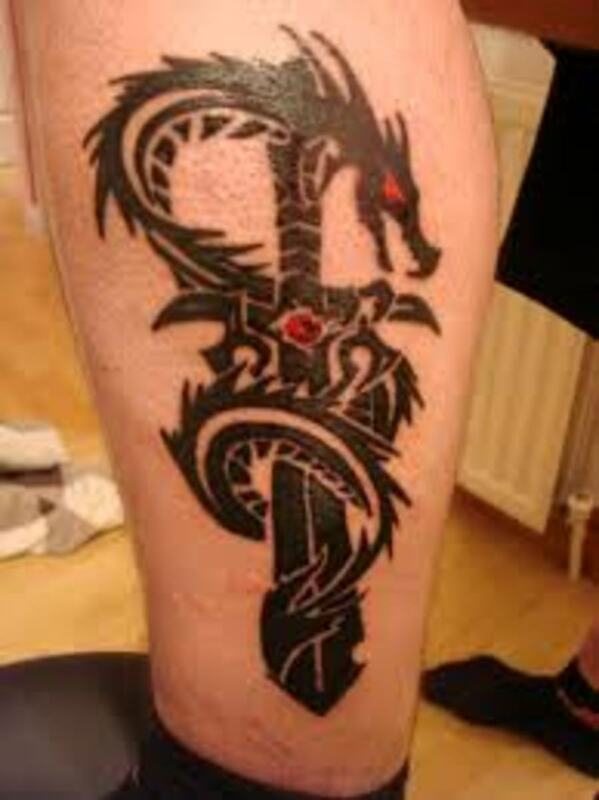 You'll also see them with snakes and dragons that wrap around the blade. 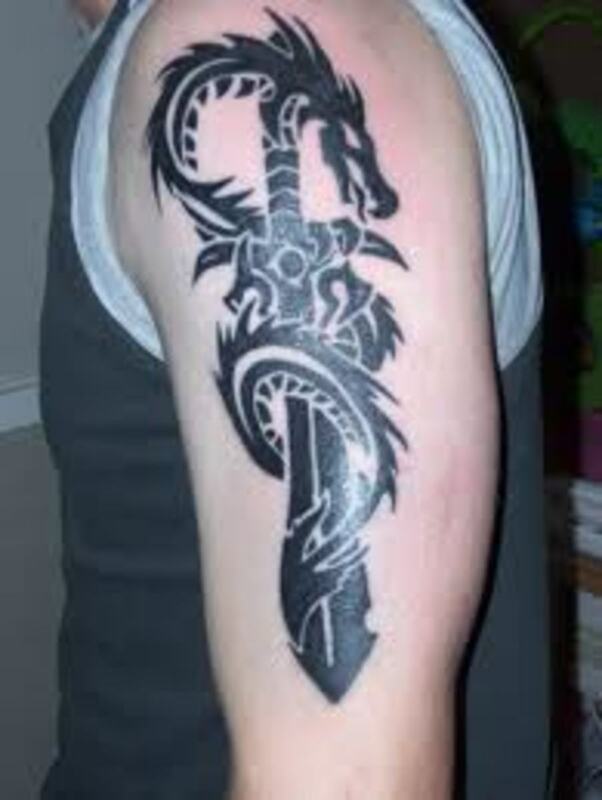 Both these creatures can represent protection and also gives the sword a fierce look. 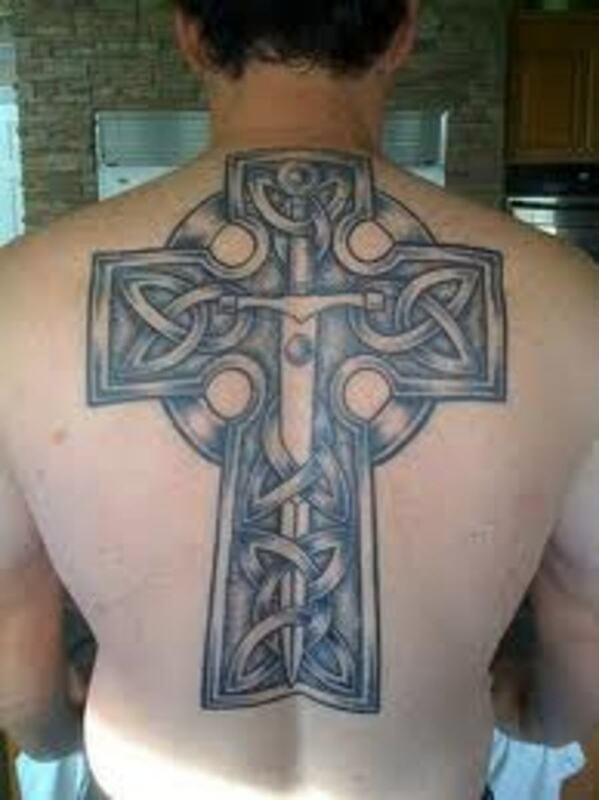 Be sure to look at all the designs that you can before you get inked! *Kevin, thanks for taking the time to drop by and comment. 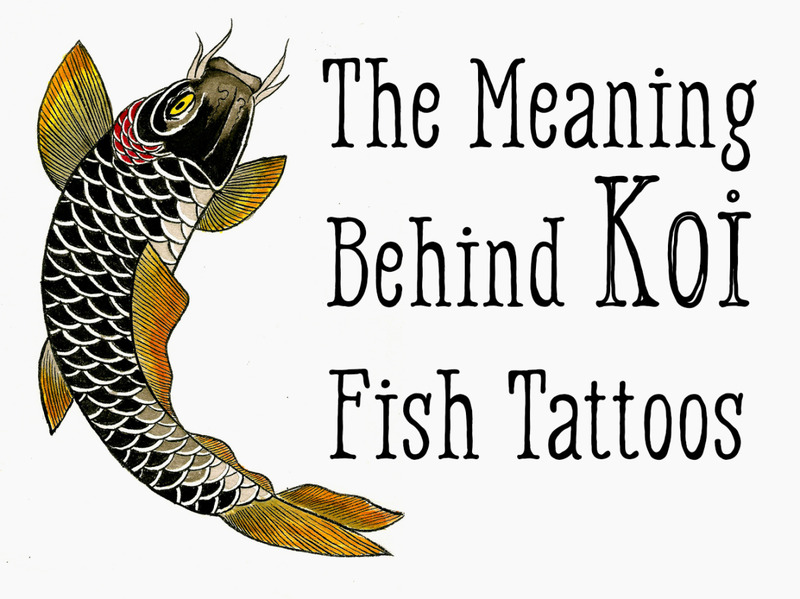 There is a lot of symbolism behind tattoos. Hope you enjoyed it. Take care. *Shaun, thanks for coming by. Thanks for showing your appreciation friend. See you soon. *AE, always great to have you come by. I am glad the history always interest you. Your support is always welcomed. See you around dear. *Beth, thanks for your time and comment. That is a good idea. 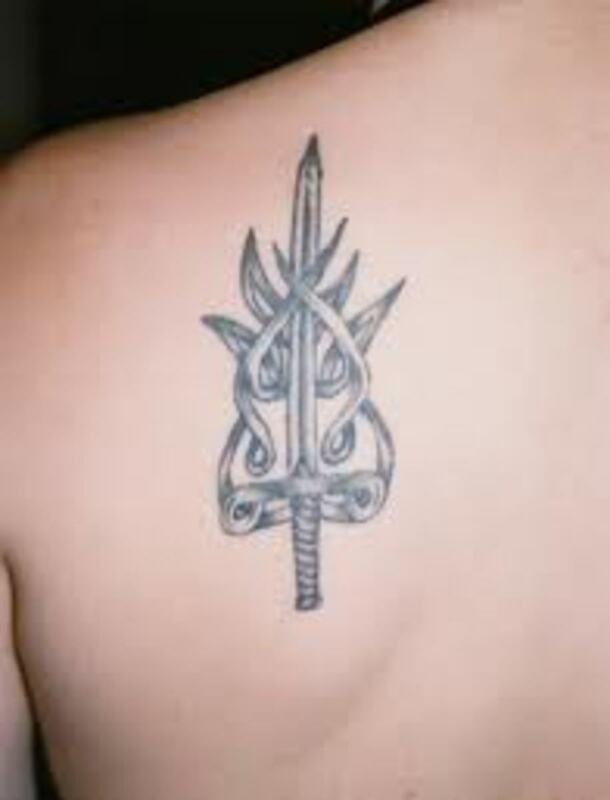 Most sword tattoos are pointed down. I can see how one pointed up would be reference to your personal beliefs. *Kash, thanks again for taking the time to view this article. Glad you liked it. Take care. *Frank, always a pleasure pal and many thanks. 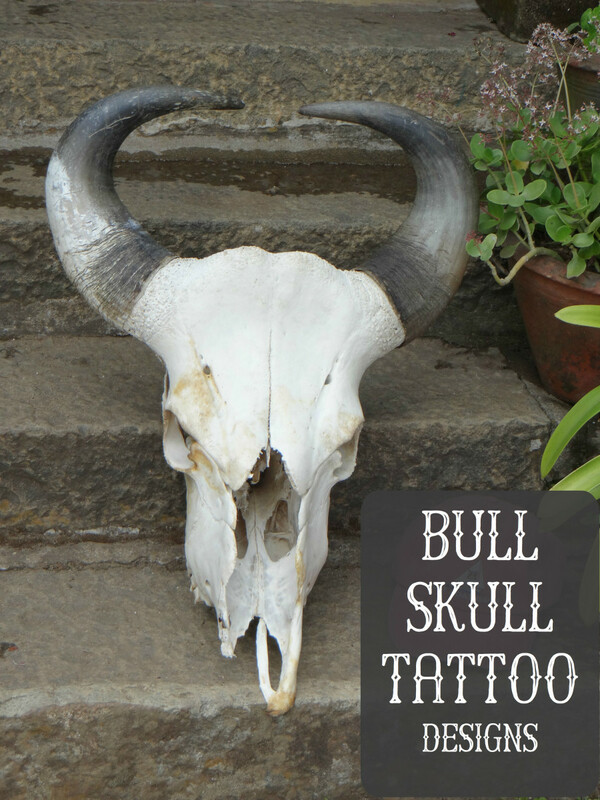 With so many different types, it makes for a great tattoo. Appreciate everything and see ya soon. *Alocsin, always good to get your perspective my friend. 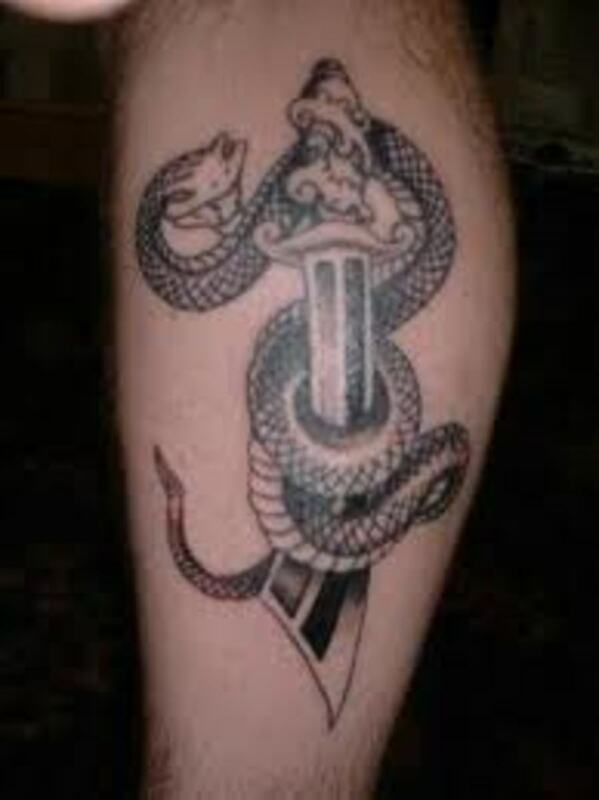 Personally, around WV, I have never seen a sword tattoo. 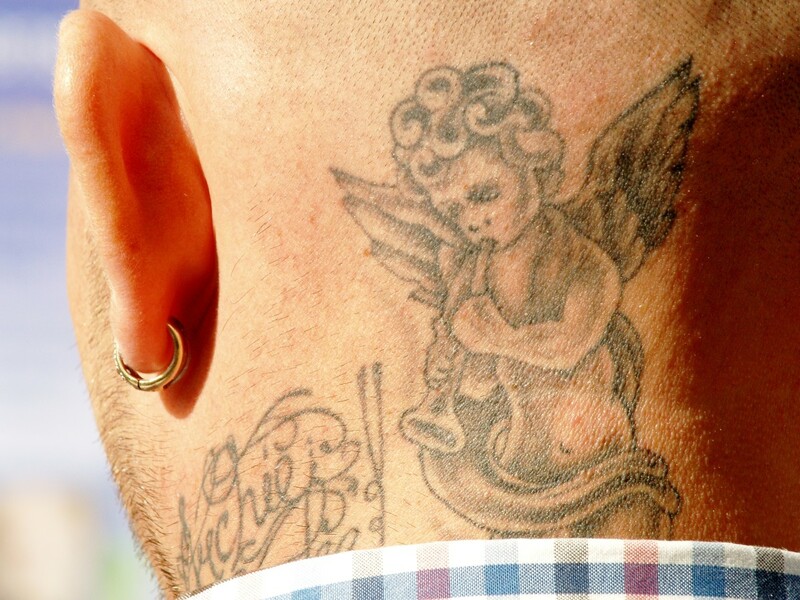 The full back tats do look good though. *Gypsy, the pleasure is mine dear friend. 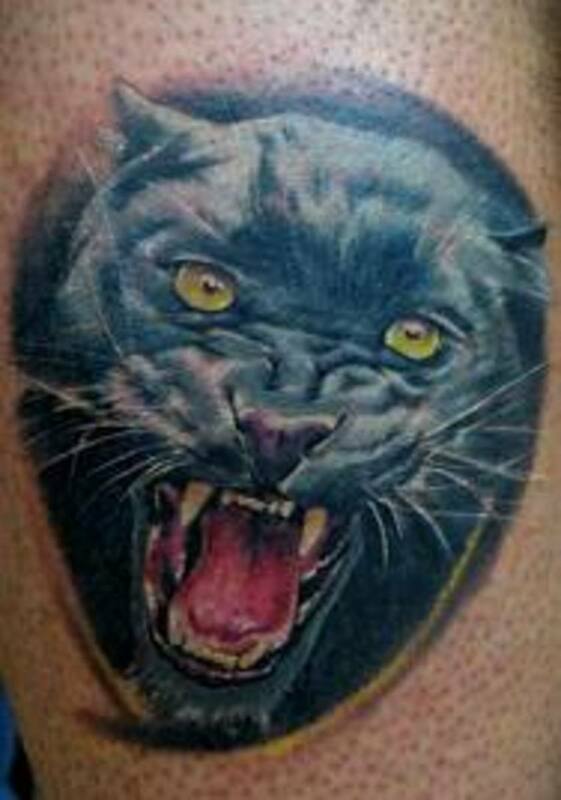 I like it because it is a tattoo that you can be creative with, put your own personal spin on it. Voted up and awesome. 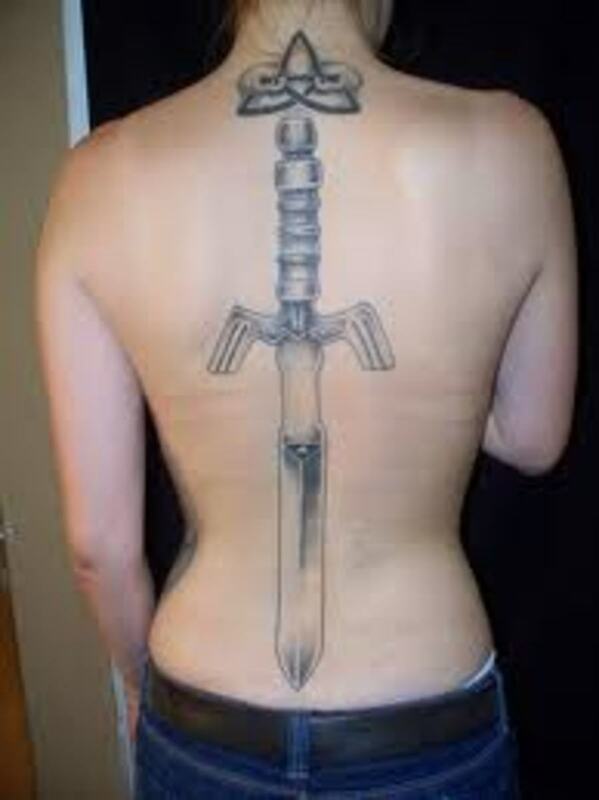 Something thrilling in looking at all of those sharp sword tattoos. Certainly one of the more common hubs I've seen, but never encountered one on the full back. Voting this Up and Beautiful. Hi my friend,great interesting hub with very beautiful pictures. 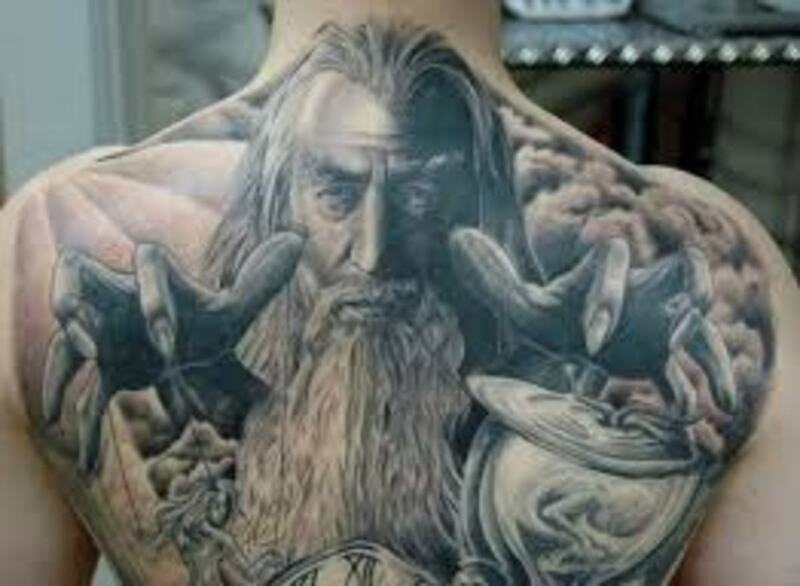 Some very nice tattoos. If I were ever to get a sword 'too it'd have to be with the blade pointing upward, as representative of the god, Tyr. These are awesome..The history is great too..Voted up and away..